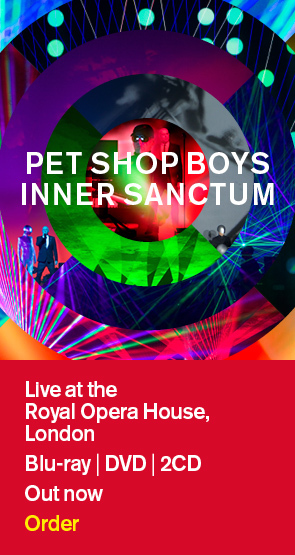 Pet Shop Boys regret to announce that the date of their concert in Bucharest must be changed from October 19th to November 25th. Due to the circumstances surrounding the tragic death of Dainton Connell, the legal formalities required by the authorities, both in Moscow and the UK, combined with the wide number of factors that his family had to take into account when arranging the funeral, the funeral cannot take place until Friday, October 19th. Neil Tennant and Chris Lowe must attend the funeral out of respect for one of their oldest friends and former employees and his family. Pet Shop Boys apologise for any inconvenience caused. They hope all will understand the good reasons for postponing the show. The rescheduled concert on Friday, November 25th, will take place at the same venue and all tickets remain valid for the new date. This is the first available date at the Sala Palatului. Changing to a new venue would have made the inconvenience to fans even worse as all the tickets would have to be re-issued. Pet Shop Boys are looking forward to their first visit to Bucharest and Romania and would like to thank all fans for their understanding. The Moscow concert planned for November 7th did not go on sale at the beginning of this week as planned because of the tragic accident there. We are currently in discussion with the promoters about when this concert will take place. Chris Lowe would like to take this opportunity to thank the staff of the British Consulate in Moscow for their sympathetic and invaluable help over the last week.